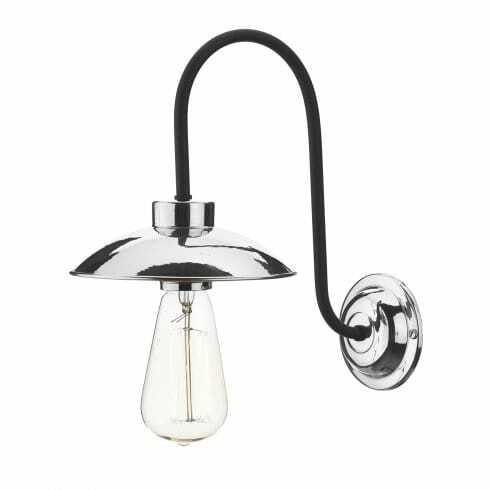 David Hunt Lighting Dallas single light wall fitting features a ridged wall plate supporting a domed, semi-circular pendant by a black curved projecting arm. The shiny polished chrome finish makes this fitting great for both classic and contemporary interiors. British made. The product code for this David Hunt wall fitting is DAL0750. Alternatively available with a copper finish that is also ready to order from our website.